Very pretty and a nice place for a stroll! I like how gardens are so perfect in your aera ! Yay! Spring! I like this photo - I like everyone's spring clothes. It has been warmer in London for a while but the weather is so unpredictable we're still seeing a lot of parkas and macs. Nice. I like seeing springtime in color far more than in black and white. Color is one of the very best things about spring. 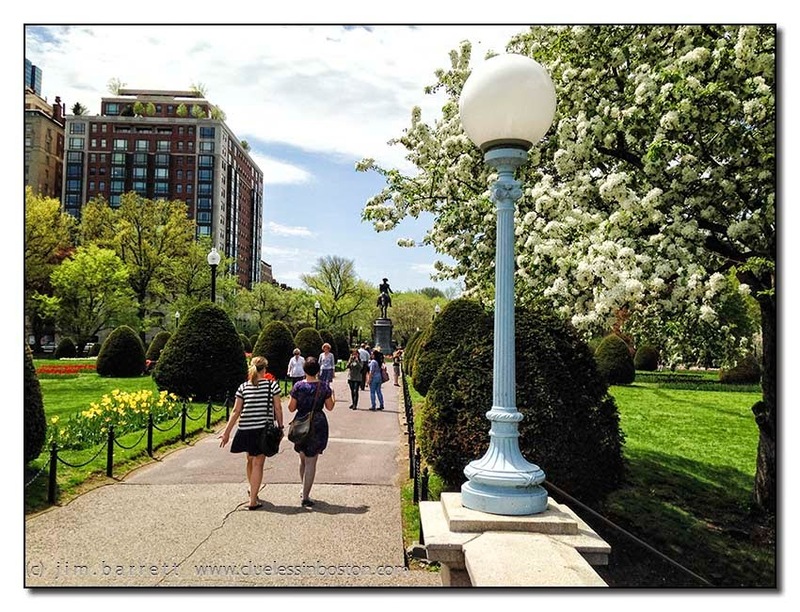 I like the different perspective of this classic Boston springtime shot. Nice spring shot, and I guess the statue is one of your Revolutionary generals?